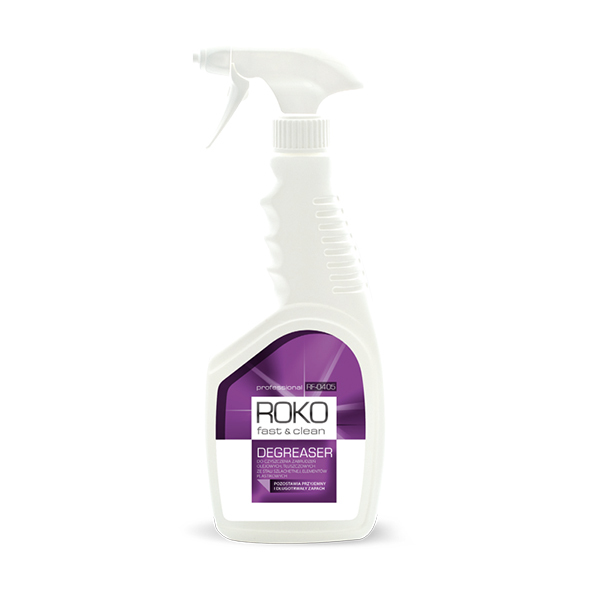 ROKO FAST&CLEAN DEGREASER is a cleaning and degreasing liquid for hard surfaces. It effectively removes fat, soap, degreases sainless steel surfaces. It is phosphate-free. The liquid is based on mild non-ionic surfactants and it is intended for professional use. liquid for washing cleaning degreasing soap deposits.